Steel Roof Installation - Can You Do It? Probably. The answer is quite simply, Yes. Over the years we have had lots of do-it-yourselfers, husband & wife teams, families, and communities pull together to install new steel roofing on residences and business properties. 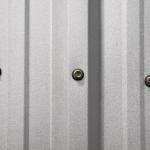 Most of them have had no experience with installing a metal roof before. In fact, most of the comments we receive are that is was a lot easier than the people had anticipated. We have a complete set of instructions for every style of roofing that we have and most of them have DVD or video tutorials on how to install everything from the underlayment, to the panels or shingles styles, to the trim and fasteners. Of course we are here as well to answer any questions or concerns you have before, during and after your installation process. 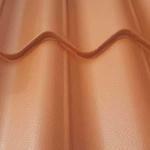 Most of the styles of panels are custom cut materials specifically for your roofing project. Our steel panels will be cut down to the inch based on your measurements, so the installation process goes fairly quickly and smoothly.This means you will have very little to no waste and you won’t be paying for materials you don’t need. Not like when you go through a roofing contractor and they charge you as much as 10-20% additional for the “waste” factor. On top of that you won’t be paying the contractors’ mark up for materials. You can buy direct and save yourself that extra expense. You will more than likely have a little cutting to do on some of the panels. If your roof is not exactly divisible by the width of your panels you may have to shear the last panel at the edge of the roof to match up with your existing roof line. If you have any valleys or dormers you will have to cut the angles of the panels where they meet in the valleys and where you might have any roof penetrations that come through the roof, such as plumbing/bathroom vents or exhaust vents. 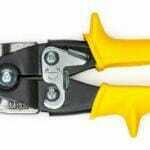 But those are easily done with a Skill saw or special nippers that we sell that attach to most any electric drill. To cut for these penetrations, you would simply mark the line that you need to cut on the underside and flip the panel upside down for the cut. It is easier to cut from the bottom than the top so you are working with the ribs of the panels and not against them. In addition, you are less likely to scratch the paint this way. Most of these cuts will either be covered by trim or with rubber pipe vent flashing so those cuts will not be visible. If they are visible, for instance where the valleys are, we have touch up paint available to cover the exposed edges. 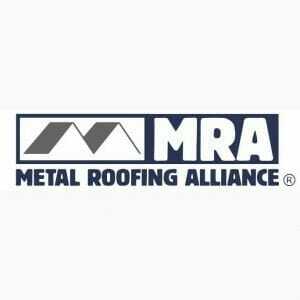 So you see, it might seem that installing a metal roof would require a professional roofing contractor, but that is really not the case. 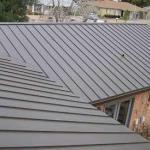 With our expertise in providing you with the knowledge & materials and your willingness to provide the labor you can have a new steel roof for about the same cost as it would be to hire someone to install old fashioned asphalt shingles.